Most everyone knows this bustling island city off the southeast coast of China is world renowned for its incredible food, from hole-in-the-wall family run establishments to high-end cuisine in the heart of Central. 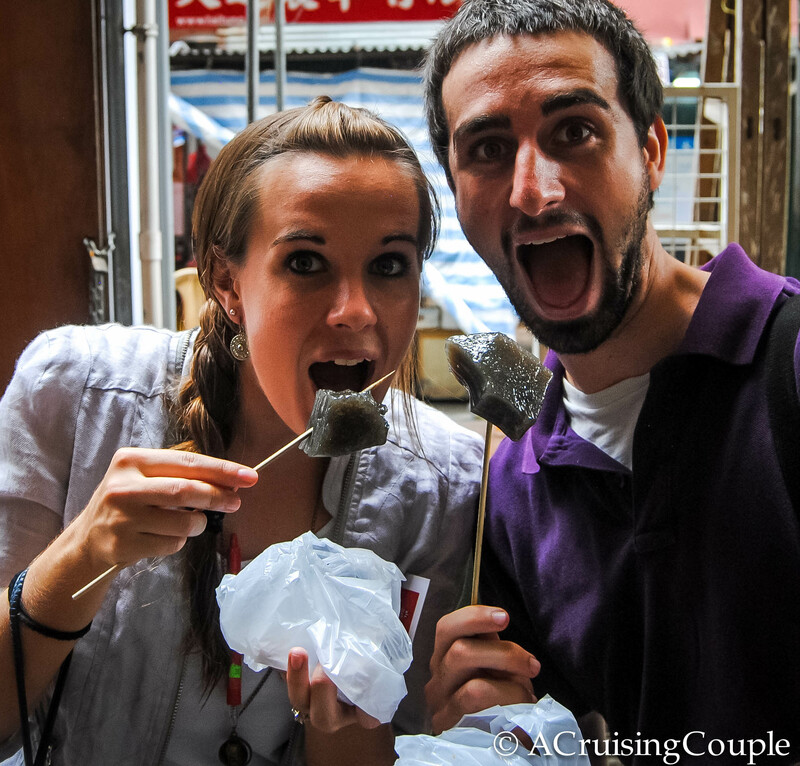 And half the fun Hong Kong eateries is the experience itself. The city offers something unique from its other Asian counterparts like Beijing and Bangkok — a seamless blend of traditional Chinese heritage with Western culture. 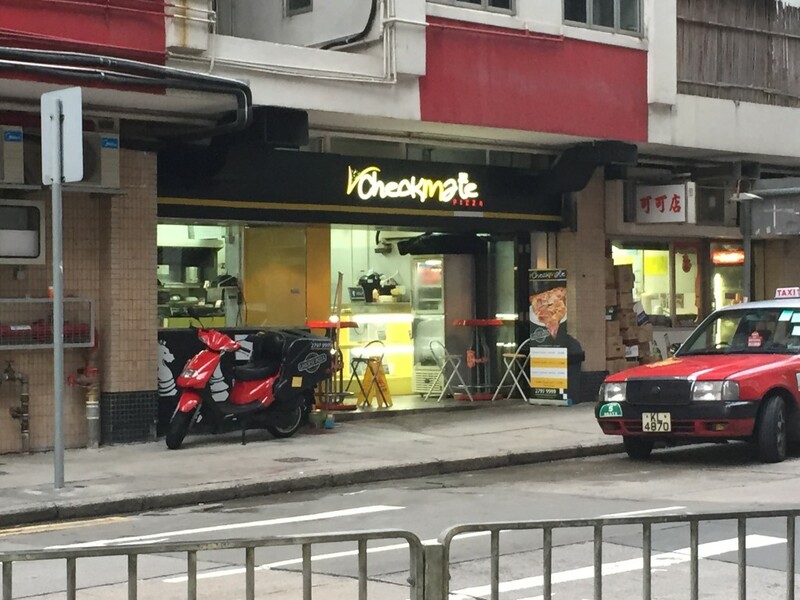 Seriously, the only sizes are “L, XL and XXL.” Tucked on a minor city street by HK standards in Kennedy Town, Checkmate isn’t so much a restaurant as it is a counter with two bar-style tables and a large street-facing window to watch someone roll out dough. The display showcases eight to ten 30-inch pizzas with various toppings available to order by the slice, but if you call in ahead of time a whole pie might already be waiting for you. They always reheat your slice in a giant oven, and the pizza typically takes up more space than that which is available on a measly paper plate. It took me about three months to realize this, but all the pies are named after chess pieces — The Grandmaster, White Bishop, The Queen, etc. I personally find this to be the appropriate level of cheesy (no pun intended). I know what you’re thinking: who goes all the way to Hong Kong to order pizza? But when the cravings for something like home hit, they hit hard. And good pizza can be hard to find. But this Hong Kong eatery offers the classic pepperoni on thin crust, not burnt, with just the right amount of sauce. At the end of a long day exploring, sometimes it’s all you need. Two words: Michelin Star. This dim sum restaurant in Hong Kong Station, Central, boasts the absolute best baked BBQ pork dumplings, a staple of cantonese Dim Sum. The first time I ate at this Hong Kong eatery I didn’t actually know it was Michelin Star, but it certainly wasn’t hard to believe. Fun Fact: It’s among the cheapest Michelin-starred restaurants in the world. Dim Sum is best shared, so any future visits I made (and there were many) involved a group of four or five of us splitting steamed shrimp dumplings, Malaysian sponge cake and fried spring rolls. Despite its multiple locations, the wait for seating could be outrageous, so we often ordered ours to-go. No worries, this particular Tim Ho Wan is perched inside IFC Mall, or the International Finance Center (Hong Kong is known for its banking industry too, but that’s far less exciting than food). At the top of IFC lies a string of rooftop bars and outdoor seating. The best part? They let you bring outside food and drinks in. Up several sets of escalators with plastic bags of Dim Sum in tow, we found the best picnic location. Baked BBQ pork dumplings + wicker chairs + Kowloon skyline = fine dining for a Hong Kong foodie. If you’re from the southeastern United States, this might sound familiar. 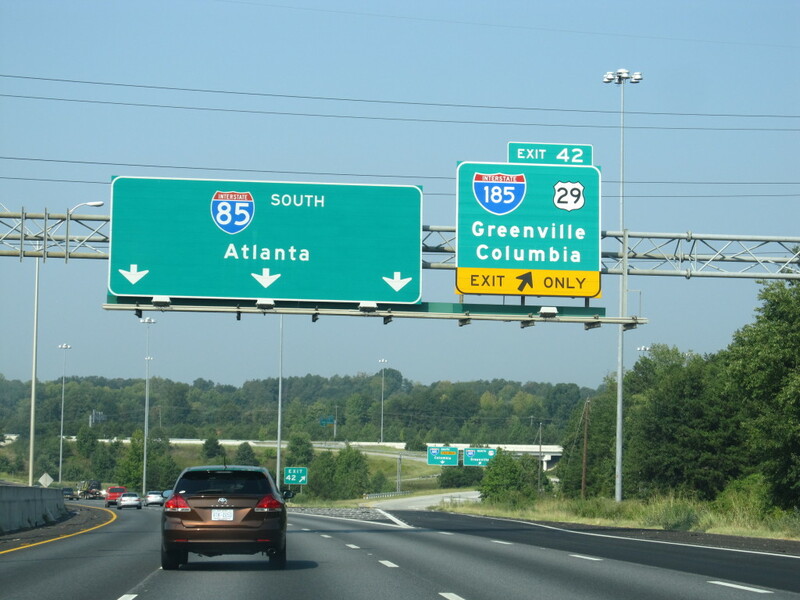 85 South stands for Interstate-85, which stretches from Alabama to Virginia with several stops in between — most notably, the Carolinas, from which pulled pork BBQ came. A lovely couple traveled all the way to Hong Kong and transported this specialty with them, plopping 85 South on a quiet side street in Central. Perhaps one of the best dive joints I’ve ever experienced, Mr. Wong’s is a bit of a trek from all the action in Central. 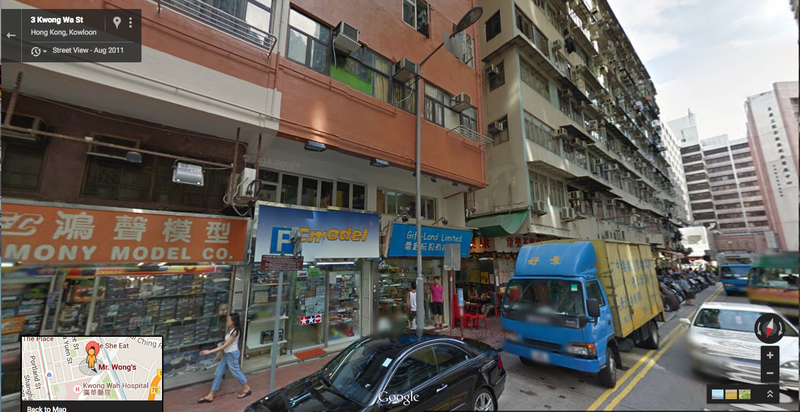 It takes about 15 minutes on the MTR and another 10-minute walk to reach the strangely isolated location in Mong Kok. But it’s well worth it. Mr. Wong, who unsurprisingly owns and operates the restaurant, makes a point of introducing himself to every table. If there aren’t any tables open, he’ll hand out canned beers from the 7/11 down the street while they set one up for your party. This Hong Kong eatery is ridiculous for many reasons, the 7/11 beer being one of them. But it attracts visitors if only for the fabulous all-you-can-eat-and-drink deal every day of the week for $60 HKD (about $7.75 USD). That includes a variety of Cantonese dishes, and a guaranteed conversation with Mr. Wong. It’s much more about the experience than it is the food, but it’s one I highly recommend. Don’t let the sketchy exterior or Mr. Wong’s forwardness startle you: it’s a decent meal with a guaranteed story to tell afterwards. 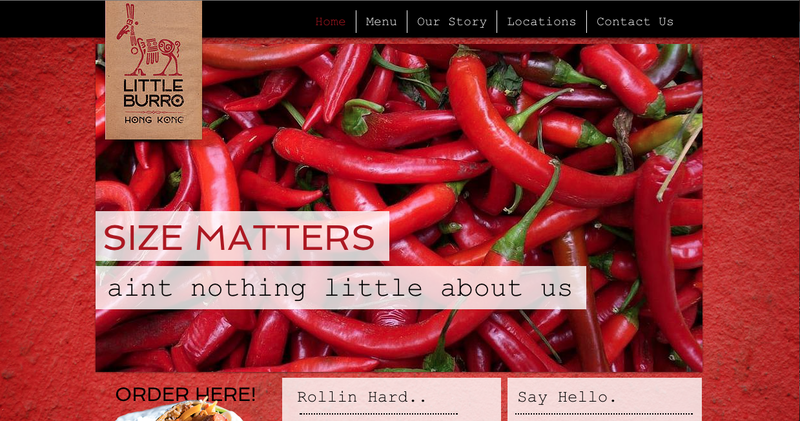 If you check out their website, the first thing you’ll see is “Size Matters,” which is both hysterical and accurate. These little Mexican-inspired restaurants (they now have three locations in Hong Kong) serve some massive mission-style burritos. I always ordered one on a whole-wheat tortilla, stuffed with pork carnitas, no beans (I have a bizarre disliking of their texture, and that’s beans from pretty much everywhere), cilantro lime rice, pico de gallo and sour cream. A friend of mine would insist on paying extra for guacamole, but I think it was just as good without it. We frequented the Sheung Wan Little Burro, where it’s never packed but there’s always someone around. Sometimes the owners show up from one of the other locations — and they always make an extra effort to refill your water or clear your trays, even though it’s a pretty self-servicing restaurant. Sheung Wan is a particularly artsy district that’s up and coming, and it attracts a lot of young expats living in HK. I liked the people, but mostly I liked the burritos — and good, decently priced ones for a Hong Kong foodie were hard to find. 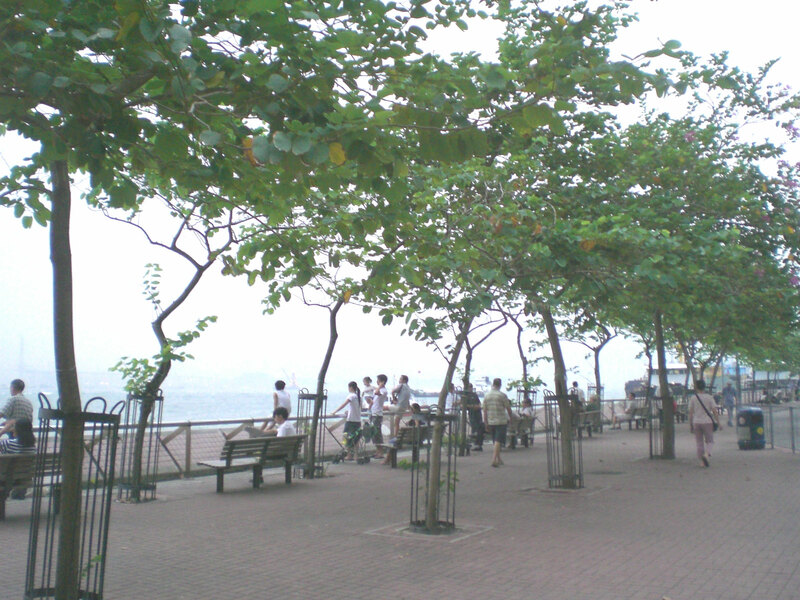 Benches line the Kennedy Town waterfront, perfect for taking food to-go and eating with a view. The best part of Kennedy Town is arguably its waterfront, which boasts a string of fun restaurants and bars. Tucked a block from the water on the corner of Catchick and Davis street sits B Takeaway, home of the largest burger I’ve ever consumed. This Hong Kong eatery’s menu includes fish and chips, wings and bacon burgers, all cooked in the appropriate amount of grease. They also offer free containers of pretty much any sauce imaginable. The corner shop can’t be larger than 8 by 10 ft, with barely enough space for a counter and absolutely none for seating. The beauty of being near the water is its nearby benches. But Hong Kong is in a constant state of overcrowding, and I learned early about something I call “The Hong Kong Hover” — you often have to loiter over people finishing their meal to indicate you’d like their seat when they finish. The waterfront benches are no exception. Despite the seating setback, a hefty burger with all the classic toppings and a side of fries, complete with a remarkably quiet view of the water (save the occasional boat horn blaring) can make for a picturesque Hong Kong night and a well-fed foodie. There is nothing more enticing than a punny restaurant title. There’s also nothing better than breakfast all hours of the day. Combine these things and you get The Flying Pan. 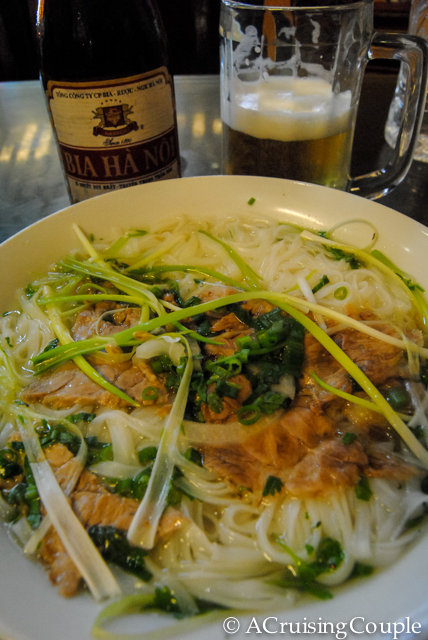 Like many successful Hong Kong eateries, it has two locations — one in Central and Wan Chai. It also has more than ten categories to explore on its menu, including omelets, frittatas, sandwiches and smoothies. But the combo section boasts the best deal, because it’s basically a hearty sampler of everything breakfast. The Flying Pan is always busy, and there’s typically some sort of a wait. But it’s so worth it. Breakfast foods for HKers are typically soup-like, often noodles, and, while tasty, very unlike the fry-ups you might be used to. That’s where this diner-esque style restaurant comes in. Covered in shades of blue with burnt orange tiling, The Flying Pan is like your favorite local Waffle House upgraded times 10. 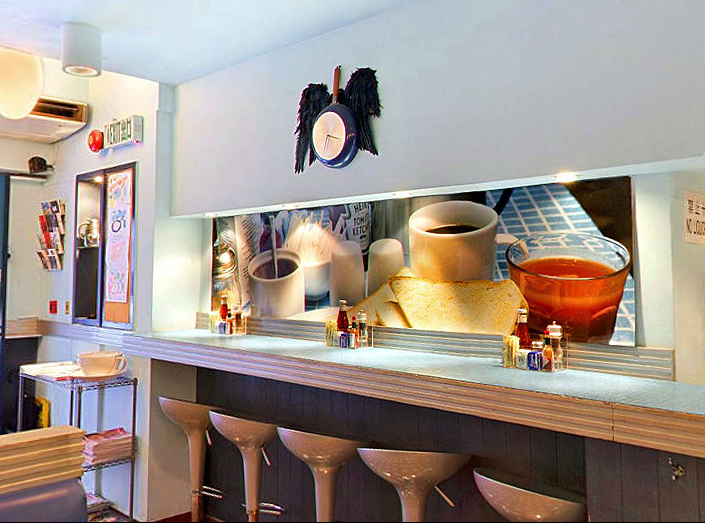 My favorite decoration hangs above the bar stool seating area — a flying, frying pan clock, made from an upside-down frying pan with two simple black hands on the clock face and feathery black angel-style wings on either side. It’s a Hong Kong eatery worth coming for the sheer creativity of it all. But it’s a place worth staying for the best breakfast in Hong Kong. 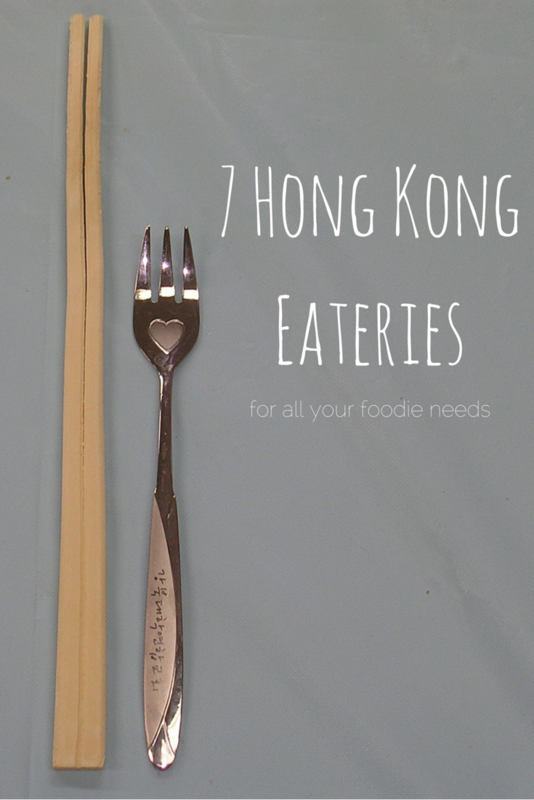 These are our top 7 Hong Kong eateries, perfect for whatever craving strikes. 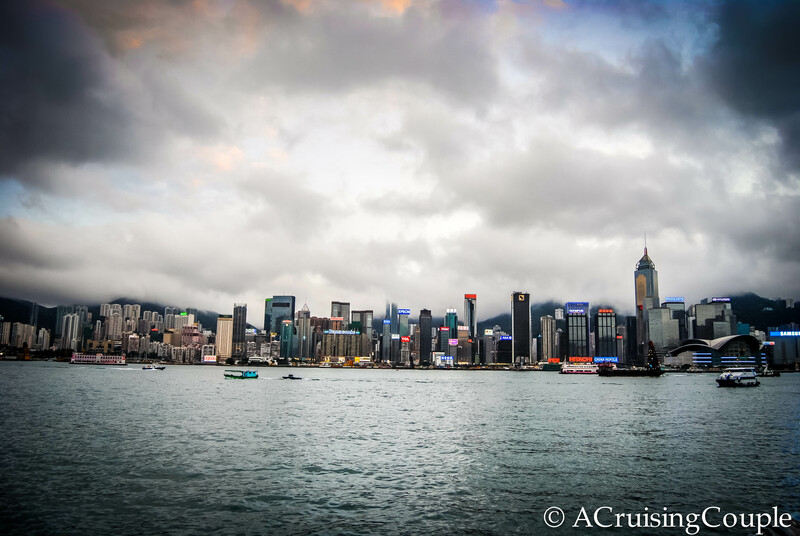 Where are your favorite restaurants in Hong Kong? 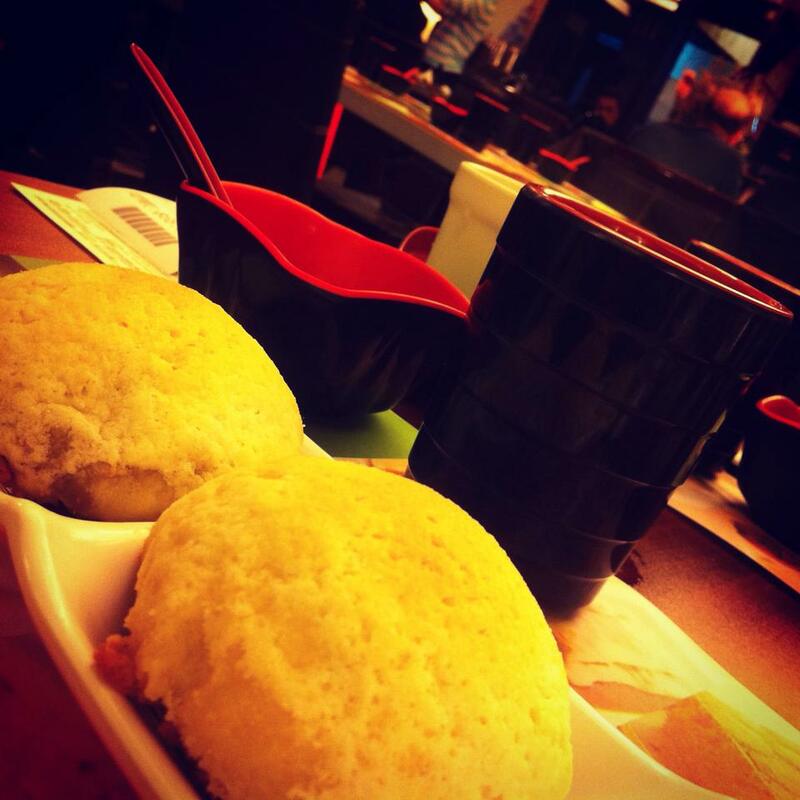 Tim Ho Wan is awesome. If it helps, we went to the Sham Shui Po location on multiple occasions and it never had long waits. Take-out is still easy when feeling lazy, though. Great list, btw! Thanks for sharing this! I’ll definitely put these on my list for the next time I am in Hong Kong! Did you go to Din Tai Fung as well? They have amazing Xiao Long Bao (some say the best, but I cannot judge…). Thanks! We used to go to Din Tai Fung all the time when we lived in Taiwan. One of our favorite restaurants ever! My mouth is watering just thinking about their Xiao Long Bao! i wish I’d known about some of these places when I was there. Although I do feel a little ashamed for mentioning it as I feel I should be more into sampling the local cuisine! I love Tim Ho Wan! Great list!